With so Many People having already done research, wouldn’t there already be a book written on my Family History? There are thousands of published and unpublished family histories in various localities. Regional and local genealogy societies get donations of family histories. Public libraries and the Library of Congress also have a collection of family histories. A large deposit site is the Family History Library of Salt Lake City, Utah. Every day new family histories are placed on the Internet in short and longer versions through personal web sites. Your family branch may or may not have been done yet. It is worth checking, but remembering to verify any information you locate. Where can Vital Records be Obtained? In most countries, vital records (birth, marriage, divorce, death) are kept by civil governmental agencies. Many records prior to the 1880s were held by local town governments, churches and cemeteries. Start with local, county, regional and state governmental agencies for copies of records is the best source. A letter of request and a fee will have a copy of the record mailed to you. Several agencies have also placed records online to make research easier. Are Distant Family Relations Important to Locate? A person’s direct lineages are their parents to grandparents to great grandparents to second great grandparents and so forth. However, one’s family tree has many branches. The aunts, uncles, cousins, great aunt, and great granduncle can be an enormous influence on the family heritage. A first cousin share the same set of grandparents, whereas a second cousin has the same great grandparents, but not the same grandparents. When a cousin is referred to as twice removed, it means there is a two generation difference in lineage. All the relations share many common histories, traditions, characteristics and appearances. It is worthwhile to discover as many of branches on the family tree as possible. Can I Find My Family’s Coats-of-Arms? Originally the heraldry of the coats-of-arms was bestowed on a male individual of nobility and if passed on, it was to his eldest male son. They became a symbol, in the form of colors, marks, designs, to distinguish one person from another. By the 13th century coats-of-arms were given to lesser nobility; gentlemen and knights. Since the majority of one’s ancestors were of a merchant, farm or working class, it is unlikely there were individual coats-of-arms handed through the family. This heraldry symbol was for individuals, not for surnames. What Resources are at the National Archives of U. S. or the National Archives of UK? For the National Archives based in Washington, D. C and its branches across the United States, there is a treasure awaiting researchers of family history. These federal documents included: Census records (1790-1930), ship passenger arrival lists, citizenship papers, military pension files, nationalization papers, land patents, passport applications, Congressional records, Federal employees data, social security applications, federal prison records and Federal court records, all providing details on one’s ancestors. The National Archive’s web site provides the details on how to obtain copies of records. For the United Kingdom, their National Archives has a web site also with information about the millions of available U. K. records. Everything in their catalog can either be made as copies for a fee or is already in digital format for viewing on a computer. Documents go back hundreds of years and include about individuals, families, businesses, towns, factories and governments. How Useful are Old Newspapers? One of the most popular and informative resources for family history are newspapers. That is not to say, not all the information in a newspaper article is accurate. As in any source, done by humans, there can be errors. Newspapers of smaller communities during most of the 19th and 20th century liked to fill their papers with the daily events in their citizenry’s lives. If a family had out-of-town visitors, an anniversary party was celebrated, a birthday, a move to a new house or a son joined the Army; all could be found in the newspapers. Most community libraries have had their town’s newspapers placed on microfilm for preservation. It is not indexed when searching, if you are familiar when a family member lived in the town, you should be able to locate their name several times. If you don’t live near your ancestor’s hometown, you can write to the town’s library and request print copies of certain articles if you know roughly a date and a name. 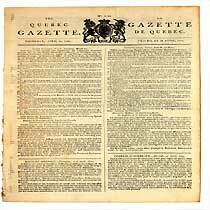 There are numerous online newspaper archives in digital form which are indexed. It is very easy and useful to place an individual’s name and have all the different newspapers appear highlighting the name. The subscription site: Newspaper Archive has newspapers in digital form across the United States, United Kingdom and many other nations. Do I Have to Use a Computer to Research Genealogy? Individuals have been completing their genealogy for years, long before the use of personal computers and the Internet. These recent innovations have just made the research and the data keeping system easier. If you do not have a computer and Internet access at home, there are many locations available for researchers. Most libraries have computers for public use along with databases such as Ancestry.com. Communities have local genealogical and historical societies with available computers and informational discs to assist individuals. At the local Family History Centers, there are computers, data disc, along with Family Search databases for the public to use. All good genealogical researchers today use both the traditional writing for information and computers to organize and gather data. Yet, it has been shown that a computer is not essential for success.